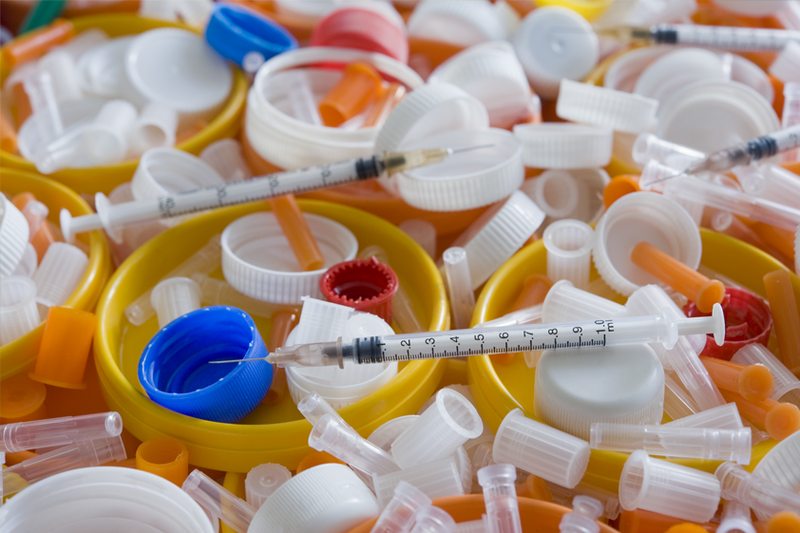 Dual waste is any dangerous pharmaceutical waste that has been mixed with a infectious or biohazardous waste during the process of administering patient care at hospitals or clinics. Healthcare workers are faced with the task of proper waste segregation during routine patient care duties. As healthcare workers focus on the comfort and wellness of the patients, mistakes are made in placing the waste tubing, vials, syringes, hazardous drugs and blood borne pathogen contaminated protective equipment into the appropriate collection container. Once the mistake has been made, it is extremely dangerous for clinical staff to reach into a container in efforts to remove the improperly discarded material from the container. Our exclusive disposal technology at TRIOXY specifically addresses a growing national concern and keeps healthcare workers safe while protecting the environment.